A visually appealing and well functioning theme can truly work wonders for any professional website. A good theme projects the entire website content in the most attractive manner and makes the website stand out amongst others. The Divi Theme is a good theme and this is our Divi Theme Review. TheDivi WordPress theme created by Elegant Themes is one such versatile theme which will surely help you create a stunning business website. Not only does this multipurpose theme offer a nice look to your professional website, it also promises seamless functioning. The best part of this theme is its ease of use. Even a non-developer can create an excellent website using this theme. The superior quality graphics coupled with an excellent page builder makeyour website creation very convenient. Hence you can create your professional website even if you are not too familiar with coding. The Divi Theme is one of the premier WordPress themes which users have loved using over the years. The excellent visual page builder, host of elements, superior customization settings make it the chosen theme for many users. So, here’s our rating for this amazing theme. The Divi theme comes with a host of powerful features which help you create your dream business website smoothly. Let us take a look at the powerful features of this theme. You simply have to click on the page and add the textual content. You don’t need to open the settings panel to do it. You can customize all the elements of the website according to your needs. You can choose from a host of fonts and colors. The sizing and spacing of content can also be customized the way you want it. You can also add rows and columns where ever required. Custom CSS can also be applied. You have to simply update global elements in one page and it gets updated across all other pages. You can save all layouts in the library section and use them later. You can also share and download layouts from the web and save them in the library.This allows you to store your favorite layouts and use them as you like. You can choose from the 20 pre-made layouts to start designing your website pages. Arranging and organizing your content couldn’t have been easier. You simply have to drag and drop your content to arrange it. You can even zoom out your content and arrange it by getting a better view. You can easily download various free and premium layouts from the Divi community and install them on your website..
With this split testing and conversion rate optimization system you can instantly run a split test on anything that you create and Divi Leads will give you all pertinent data related to user engagement. You can make important decisions and modify your website content and designs. This will surely help increase conversion rates and improve sales figures. The Divi theme can be translated into 32 languages. Each and every element of the website can be translated into the chosen language. The RTL (Right to Left) mode of the Divi theme enables you to build your website in any RTL language as well. Accordion: The accordion module allows you to create as many toggles you desire within it. Audio Player: This module allows you to easily share audio files with users. Bar Counter: Showcase all your statistics to website visitors using bar counters. Blog: Use this layout to post your blogs. Blurb: Showcase small pieces of information using a blend of textual content and imagery. Button: Create buttons of any style using this module. Call to Action: Insert appropriate calls to action anywhere in the website using this module. Pie counter:You can also display statistics using pie counters. Comments: Add comments anywhere on the page using this module. Contact Form: Use this module to add contact forms wherever you like. Countdown Timer: You can also add countdown timers to let visitors know about the launch of a product or an event. Divider: Add dividers between content using the divider module. Subscribe: Enhance your mailing list with Subscribe. Three prime mailing list providers are supported by Subscribe at present. Filterable Portfolio: Showcase your portfolio with filterable categories using this module. Gallery: Display your images in the image gallery. Image: Insert images using various animation styles using this module. Number Counter: Showcase your statistics with numbers using a combination of colors and percentage signs. Person: Showcase your customers and team with this module. Post navigation: Add links using this module to enable users to move to your next and previous blog posts. Post Slider: Use sliders to add blog posts and highlight the featured ones. Post Title: Add appropriate titles anywhere you want using this module. 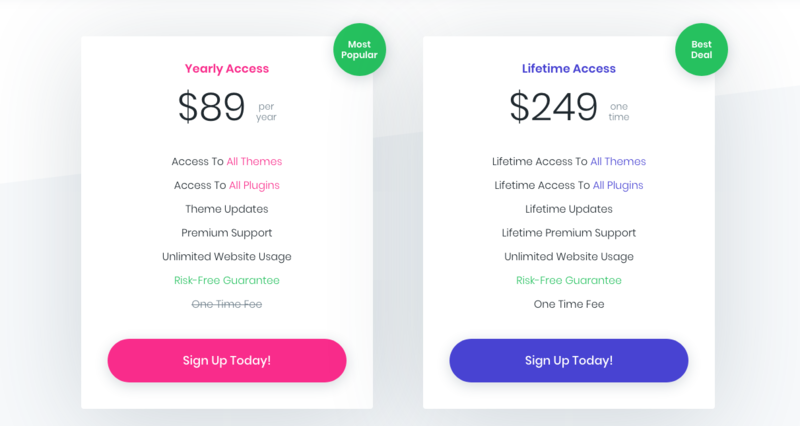 Pricing Table: Insert pricing tables and even feature particular plans using this module. Search: Insert a search form anywhere in your website with this element. Sidebar: Add different sidebars wherever you want to in your website with this element. Slider: Add sliders with parallax and video backgrounds using the slider module. Social Follow: Insert social media icons with this module. Tab: Create as many tabs you want with the Tab module. Testimonial: The testimonial widget allows you to add customer testimonials. Text: This module enables you to add text in any row or column and even format it. Video: Upload videos or just put a video URL which is instantly embedded anywhere in your website. Video Slider: Place all your videos in a slider format with this module. Header: Add headers in your website very easily with the Header module. Apart from these elements, there are various otherslike Code, Toggle, Portfolio and Shopwhich can be used to enhance your website. The front end editor of the Divi theme allows you to customize your website just the way you like. Moreover, you can make the necessary changes on the website itself. Let’s take a look at a few of the customization options. Header and Footer options: You can choose header options and even change their alignment to left, right or centred. You can also change the navigation modes from horizontal to vertical. You can also adjust the colors of your headers and footers. Mobile friendly navigation styles like slide in navigation can also be chosen. 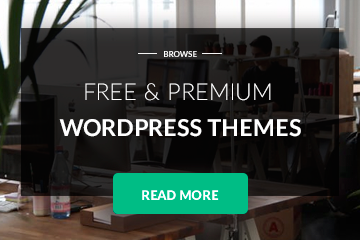 Theme options:The fully customized theme options panel allows you to build your website just the way you like. The various features allow you to add your business icon, upload scripts and even enable custom CSS. You can also choose the color for your website from the color palette. Layout settings: You can make changes to your website layout, adjust the space between rows and also adjust the width of the main content. Typography:You can adjust the size of the text and the height of each line on your website. The text size, letter spacing, line height and the font size of headers can also be adjusted. Background: You can set an appropriate background for your theme with this feature. Primary Menu Bar: Make changes to your menu height, logo height, text size, and letter spacing. Widgets: Edit all your widgets and change their style with this option. Bottom Bar: The footer credits and social icons which are displayed in this section can be edited here. Buttons: Adjust your button styles with this feature. Blog: Customise your blog posts and blog headers in this section. Mobile Styles: This is a great feature which allows you to customize the look of your website for tablets and mobile devices. Custom CSS: This allows you to make any additional style changes to the theme which couldn’t be done with the Theme Customizer. Sucuri.net, the security partners of Divi offer optimal security to this theme. No security issues were found with this theme. Hence, as users, you can be rest assured that the website you create will be a safe one. WooCommerce still remains one of the top e-commerce plugins which users prefer. The Divi theme features complete WooCommerce integration. With this excellent e-commerce plugin, you can display and sell all kinds of products. Hence creating an online shop for your website will no longer be difficult. Easy installation: The plugin can be easily installed with just a few simple steps. Free basic plugin: The basic WooCommerce plugin is absolutely free which allows all users to create an online shop for their website. Excellent Features: With a host of excellent features and extensions, Divi allows you to create an amazing store for your products. Shop module and WooCommerce: The Shop module of the Divi theme can be used with this plugin to create that perfect online store. Easily add products: Once you have successfully installed the plugin, you can easily add products. You simply have to add the product, create a new page, insert the shop module and style it. It is always a good idea to try to find a coupon code when you are buying a new product and that goes when you are buying a new premium WordPress Theme as well. At the moment there is no Divi Coupon code available and neither a Elegant Themes Coupon Code. A lot of websites advertise with big coupon discounts but that does not provide you with any advantages at the moment. 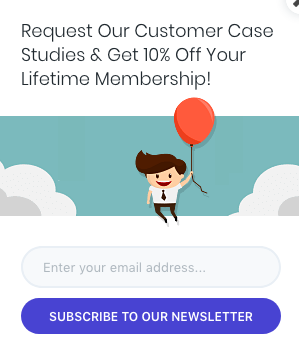 However, it is at the moment possible to get a 10% discount in relation to your elegant Themes purchases if you are willing to fill out a short survey. You can go to the survey by using a link from this website. 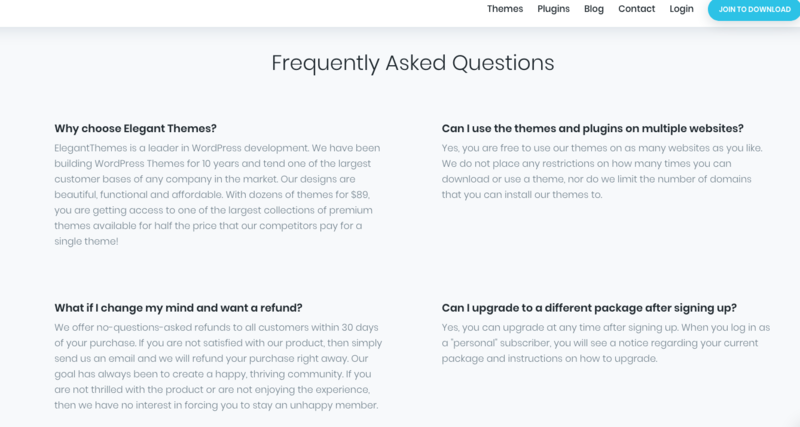 If you have a question in relation to Divi or to Elegant Themes in general we recommend that you visit the Elegant Themes Frequently Asked Questions (or Divi FAQ if you like). Here you will find the answer to most questions and if the Elegant Themes FAQ section does not answer your question you can chat directly with the Elegant Themes support team on the website. You can find the FAQ section when pressing “Join” on Elegantthemes.com. Well “yes it is”, is the short answer to the question. One of the main features are that Divi allows you to create a feature in “real time”. WithDivi you can actually write on the real time layout of your website. We think so. We think that there is a good reason why Divi has become so popular – it is a good product. More than 500k downloads Divi is the most popular premium WordPress theme in the world and this is due to the fact thar the theme is very easy to use and work in. The Divi theme with the host of remarkable features, ease of use and excellent functionality is surely worth giving a try. This theme can be conveniently used for building various kinds of websites. Hence, Divi is perfectly suited for all kinds of business owners and entrepreneurs who want to build a dream website for their business endeavors.